The last Isle of Wight Car Club event of 2017 was a sealed surface event held at Fort Street Car park in Sandown. This car park is a real Marmite venue. The fine covering of loose stones makes the first few runs similar to driving on marbles, however, once these have been swept away, the abrasive underlying surface will reward smooth driving and decimate the rubber of drivers who like to drive more aggressively and light up their tires. Two very smooth drivers included Dave Goodwin driving his classic Mini and James Robbins in his Clio, both posted a very good identical time of 59:26 in round 1. However, Barny Lower amazed everyone who watched by driving his huge BMW saloon sideways through every gate with pin point accuracy and posted the fastest first run of the day in a time of 58.69. As the day progressed, times tumbled but many struggled to remember the course or pushed too hard and incurred penalties by striking cones. The only unmodified car at this event was the MX5 driven by John Cooper and Wayne Hole, with Wayne stamping his authority over John by posting a time of 54:93 and placing him 12th overall. Class 3 is for modified cars under 1300cc and there were 10 drivers in this class. 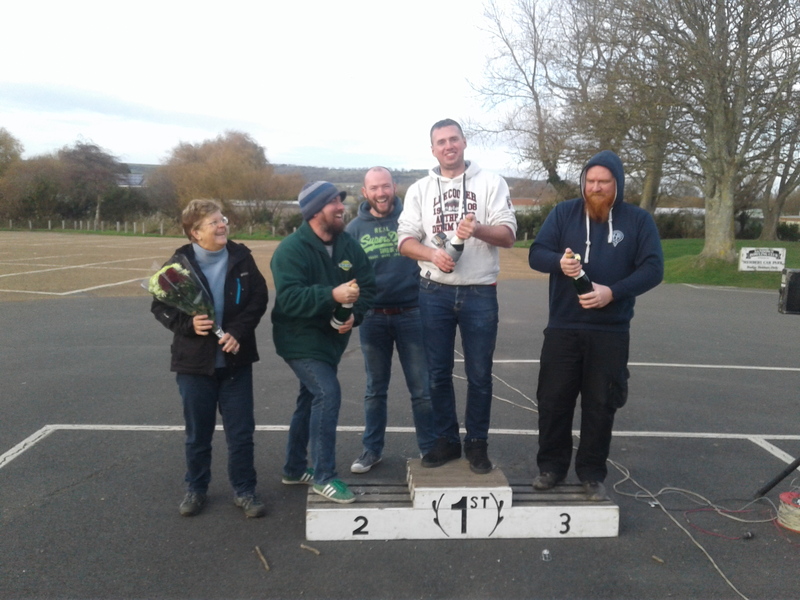 The turbo Cappuccino of Garry Wetherick seemed not to suit this course and it was a long awaited return to the podium for Dave Goodwin in his classic Mini and placed 3rd over all at the day’s close and Marion Brett was the fastest lady of the day in her classic mini. James Robbins was rewarded with 5th place over all for his smooth driving but the modified Subaru Imprezas that also live in class 4 have much more traction and power. Class 5 is for cars that don’t fit into any of the other classes. Chris Wilson in his single seater special was struggling, however, he cannot be too disappointed as he did not only secure the sealed surface championship but also the the overall championship. Steve Wells claimed the fastest class 5 place with a time of 51:38 and the second step of the podium. 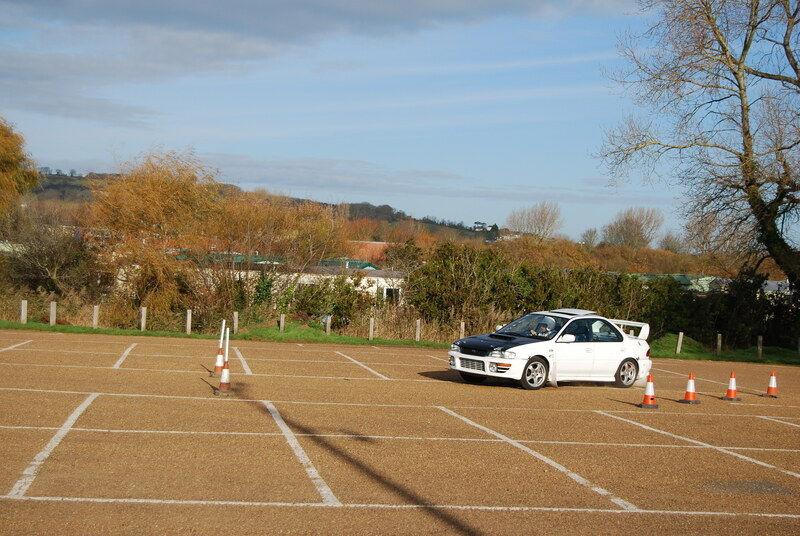 The highlight of the day was with a very popular driver who is fairly new to the club and has also encouraged many new members to take part in this grass roots motor sport by inviting them to drive his own Subaru Impreza. Jon Barrett’s results have been constantly improving throughout the year and it was a fantastic conclusion to the 2017 season to see Jon stand on the top step of the podium at Fort Street with a winning time of 51:23. It has also become a tradition to have a team prize at the final event of the year, where drivers’ names are randomly paired up with a fellow driver and the team with the fastest combined time of the day are awarded a prize. This year the team of Steve Wells and Toby Allen claimed the prize of free membership for the following year. The club would like to thank everyone who helps make these events happen and in particular the land owners who allow us to partake in this fun accessible motor sport for the masses. This very successful and eventful season will be celebrated at the club’s AGM in the new year where trophies will be awarded. Keep an eye on the club’s website for more information, www.iowcc.co.uk.